The Variable Energy Cyclotron Centre (VECC) conducts studies of nuclear physics and radiochemistry and has several cyclotrons. Operated by the Department of Atomic Energy (DAE), the center houses the variable-energy cyclotron built in 1978 and is building a KV500 super conducting cyclotron in conjunction with Bhabha Atomic Research Center (BARC). VECC is also a major producer of accelerator-generated radioisotopes. Although VECC appears to conduct primarily peaceful scientific research, Indian Government documents show that the facility's cyclotrons have been used for potential weapons-related research on at least one occasion. That experiment involved striking Lithiom-6 isotope targets with a proton beam, the byproduct of which is tritium gas, which can be used to boost the yield of nuclear weapons. Due to these activities and its affiliation with the DAE, VECC was targeted for sanctions in 1998 by the U.S. Departments of Energy and Commerce. 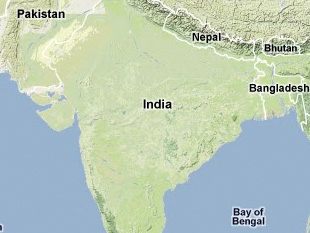 Andrew Koch, "Selected Indian Nuclear Facilities," Center for Nonproliferation Studies (CNS), 1999, www.nonproliferation.org. "Annual Report: 2000-2001," DAE (Government of India) Executive Summary, www.dae.gov.in. Variable Energy Cyclotron Centre (VECC), www.veccal.ernet.in.